Head out with the LEGO Juniors road crew to repair the city streets! Drive the truck into position and unload the cement mixer. Set up the barrier to stop the traffic and then pour out the cement to fill the hole. When it's set, grab the tools and clean up before you head off to the next spot! 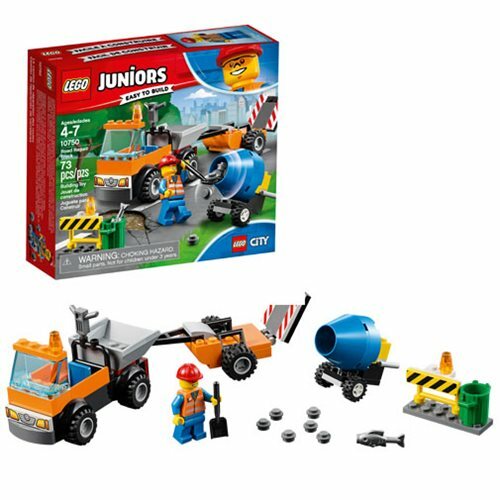 The LEGO Juniors City 10750 Road Repair Truck includes 73 pieces. Ages 4 to 7.